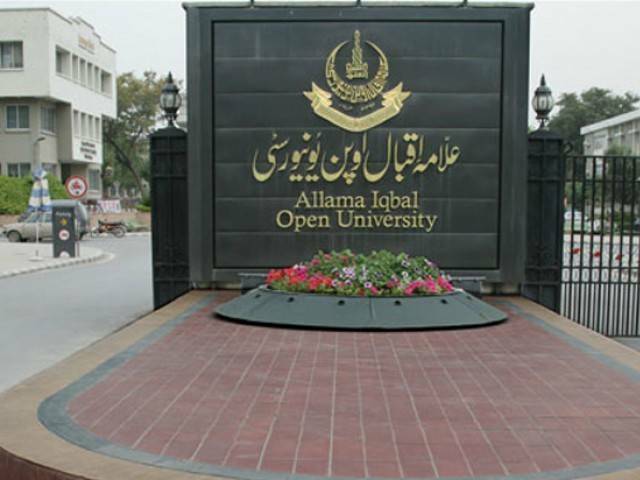 ISLAMABAD: A national seminar was held here on Wednesday at Allama Iqbal Open University (AIOU) to create awareness for promoting a healthy lifestyle and to develop environment-friendly cities and towns. The seminar was aimed at drawing the attention of the people towards the importance of urbanisation and healthy environment to ensure a better life. The seminar was the part of the series, undertaken on the initiative of Vice-Chancellor Professor Dr Shahid Siddiqui to provide research-based academic input to the society in addressing socio-economic issues. The university is encouraging and motivating academicians to focus on linking their research-study with the general development of society. The speakers at the seminar included Education Dean Dr Nasir Mahmood, Department of Home and Health Sciences Chairperson Professor Dr Nomana Anjum, Rawalpindi Medical College Pediatrics Dean Professor Dr Rai Asghar, NUST Urban and Regional Planning assistant professor, and Department of Home and Health Sciences Assistant Professor Dr Hajra Ahmed. The speakers called for greater focus on urbanisation and prevalence of chronic diseases and urban health through sustainable urban planning. Relevant authorities and institutions must consider introducing increasing physical activity and encourage the people for healthy eating, they said. It was noted that urbanising the world significantly change people’s living styles, living standards, behaviours and health status. Health challenges particularly evident in cities relate to water, environment, violence and chronic respiratory diseases. Recently, the AIOU has developed the academic designs via research study in order to expand the outdoor open spaces in Rawalpindi as well as in Islamabad for physical activities of young schoolgirls. The projected design recommends the ways as well as the means to enhance the safety, security, accessibility, comfort and also the provision of the facilities in the particular parks and playgrounds of schools and colleges in the twin cities. The project has suggested cost-effective measures to enhance the access of adolescent girls to outdoor physical activities, which are a must for their health.